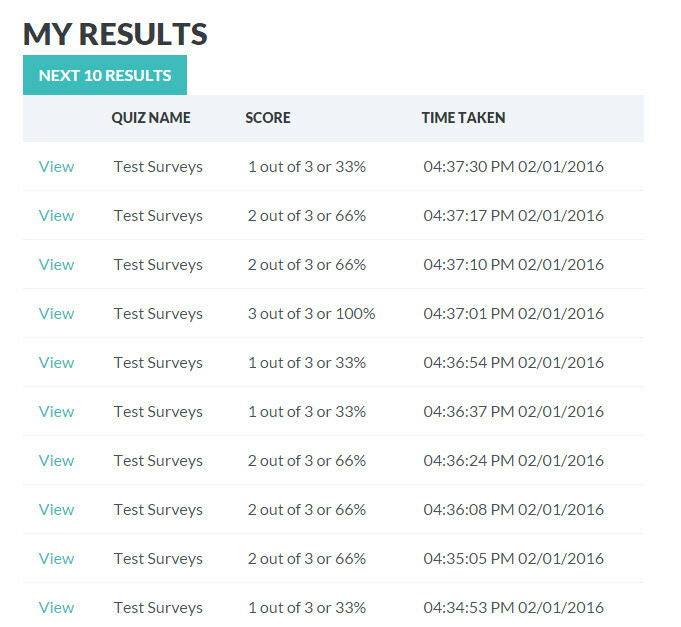 This add-on gives you the ability to set up a page where users can review their results from all the quizzes they have taken. If your users have access to the dashboard, they will have a new page to review their results. If they do not have access to the dashboard, you can create a new post or page and insert the shortcode into it.